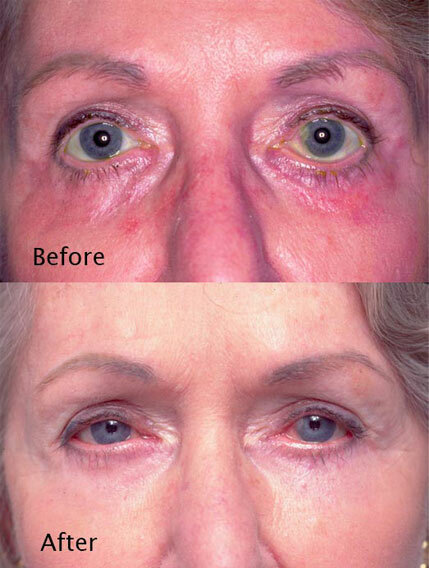 64-year-old woman with a history of prior eyelids surgery. In addition to her cosmetic concerns related to the pulled down lower eyelids. The muscle of the lower eyelids was damaged by her surgery and she has chronic dry eye symptoms. Vertical and horiztonal inadequacy of the lower eyelid. Dr. Steinsapir developed the use of the custom hand carved ePFTE orbital rim implant. This should not be confused for other cheek and tear trough implants that are used to create volume. This implant is designed for supporting the vertically lifted cheek soft tissue. This permits the recruiting of skin and soft tissue into the lower eyelid with minimal tension. This sets the stage for the rehabilitation of the lower eyelids. 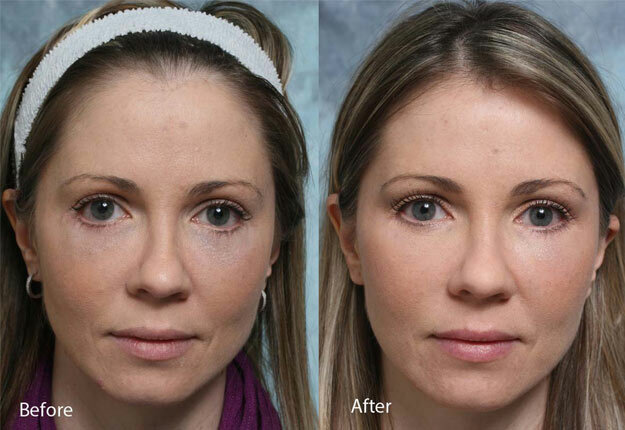 55-year old woman whose lower eyelids were left pulled down after lower transcutaneous lower blepharoplasty. 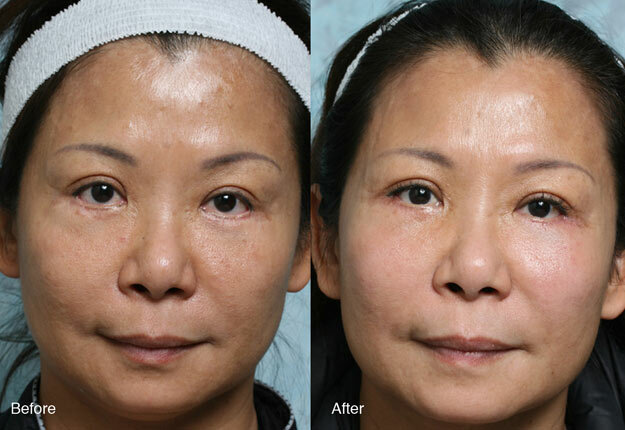 She had two revisional surgeries to correct the lower eyelids but these surgeries were unable to correct her issues and made the scars of her lower eyelids more visible. Unacceptable lower eyelid surgical scars. Using the techniques that Dr. Steinsapir has pioneered, he is routinely able to correct issues that frustrate other surgoens. His results combine is detailed and meticulous technical skills, advanced knowledge of the midface and lower eyelid anatomy, and artistic touch. 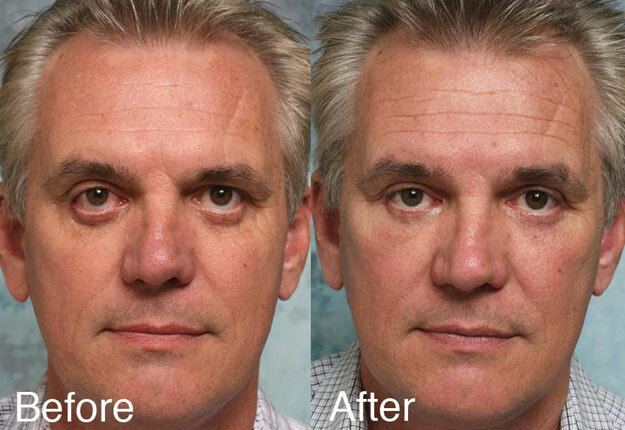 50-year old man whose lower eyelids were left pulled down after lower transcutaneous lower blepharoplasty. 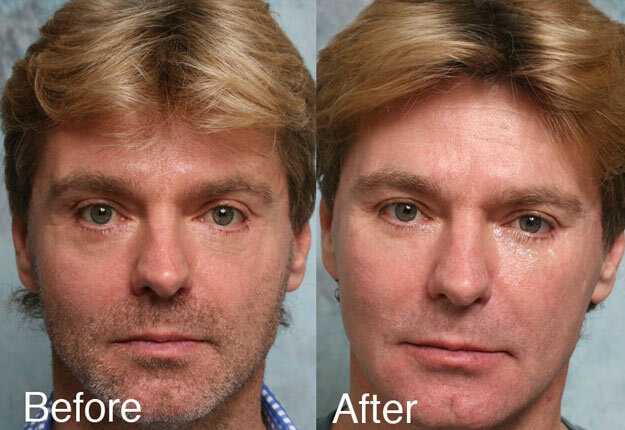 He had three revisional surgeries to “tuck” the lower eyelids but these only seemed to make the eyes worse. Unfortunately well-meaning surgeons are not trained in the repair of these complex lower eyelid issues. Trying to tighten the lower eyelid with canthal surgery will actually worsen the lower eyelid position by futher pulling the lower eyelid down. These attempts to fix the eyelid use up critical material that is needed for definitive repair.